Home » With Our Churches » Crestview Fellowship » Crestview: God is so Good! Crestview: God is so Good! God has been faithful and we know He will continue to be faithful. WINNIPEG, Man.—On Sunday, Sept. 17, Flo Friesen shared how the Kleefeld EM Church had a vision for church planting and then proceeded to work diligently to bring this vision to reality. 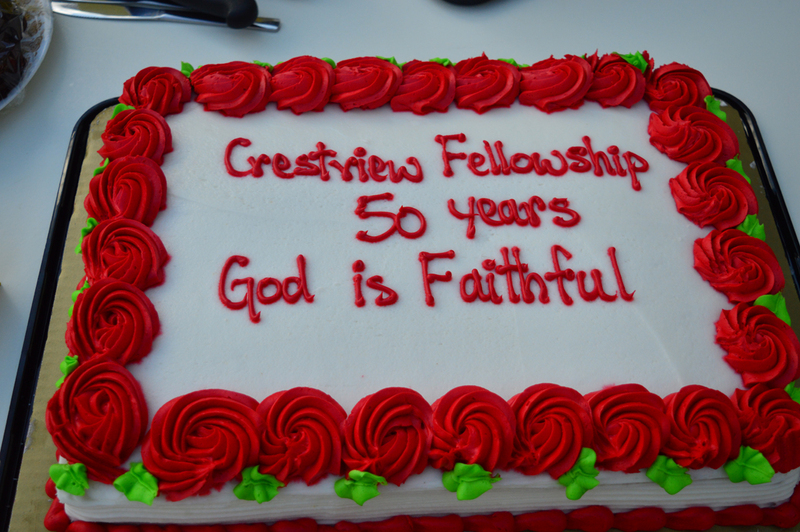 This year marks Crestview Fellowship’s 50th anniversary. We were privileged to have several former lead pastors, youth pastors, and youth leaders join us for the morning service and all had special memories to share. Many former members were also in attendance, and there was much reminiscing and laughter. Invitations were distributed to the neighbouring community to come for a barbecue upper and enjoy some live music. There was also a huge bouncer for the children. It was a great turnout and lots of fun. We pray that the seeds that were planted will grow. God has been faithful and we know He will continue to be faithful.